I am trying to restore my new iPhone with my backup from yesterday. 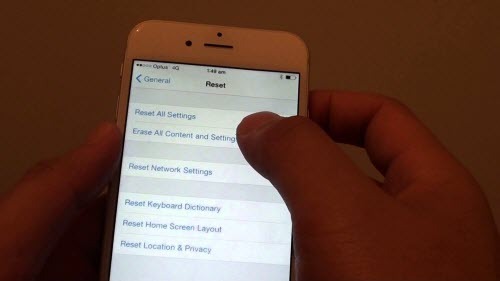 I changed from 6S+ 64 to 128 today and am having issues with the restore. Everything is fine until it goes to a white screen with the apple logo. It stays in that screen for hours and there is no status bar showing progress. Finally I restarted phone, power button + home. So when the phone turns on, all my apps are showing and my setting are correct, however my pictures are not there nor are all my text message histories. Any ideas…? I have latest iOS update. When you choose to restore your iPhone 6s from iCloud backup, you are expecting getting over everything to your iPhone 6s. Accident happens however, many iPhone 6s users are complaining in Apple support community and iMore forum that they are suffering the text messages and recent calls missing after restoring from iCloud backup. And to tell the truth, the iCloud backing up is still kind of mystery to most iPhone uses for few people know exactly what it does and what it doesn’t do. If you used to back up your iPhone 6s regularly through iTunes or you have enabled the automatic backing up, you should have an iTunes backup file saved on your computer. You can try getting backup the lost text messages and call history through restoring your iPhone 6s from iTunes backup. If you didn’t, I am sorry that you are out of luck. To prevent losing data by restoring from iCloud backup without knowing why, you ‘d better backing up your precious iPhone 6s to your computer before restoring from iCloud. Fortunately, there are different ways to do so. You can export the important data, especially the text data like text messages, call history, contacts, notes, reminders and calendar etc from your iPhone 6s or iTunes backup for your iPhone 6s to your computer for backup in case of something goes wrong during the restoring process. iFonebox, as professional iPhone data recovering and transferring program can help you export the data to your computer. >Connect your iPhone 6s to computer. >Click Start after iPhone 6s shows up. >Click “Recover All” on the interface listing. 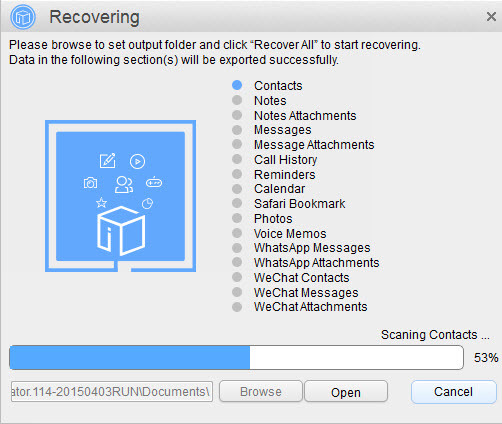 >Click “Recover to Computer” after the recovering process completes. > Choose the recovery mode of “Recover from iTunes”. > Select an iTunes backup from the following interface listing all the iTunes backup file on your computer. 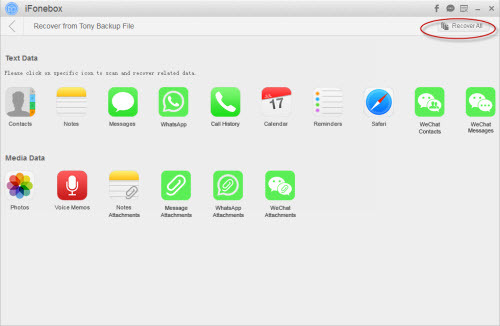 Note: If you cannot find the iTunes backup file on your computer, please make sure that you are running iFonebox on the computer to which you have backed up your iPhone 6s. And then click “Select more” to relocate your iTunes backup file. > Click “Recover All” on the interface listing all the supported data categories. > Define a destination folder and click “Recover”. > Check the exported data after the recovering process completes. Finally, do remember to back up your iPhone data regularly, everything you backed up to a server is under the mercy of others. Things stored on your computer is much more reliable. This entry was posted in iCloud, iPhone 6S and tagged back up iPhone 6s, iphone 6s, restore iPhone 6s from iCloud backup by IosdroneD. Bookmark the permalink.